Fast fitting rear mounted bike carriers for estate and hatch back cars, designed to transport 2 bikes. High position of the bikes does not block the rear lamps or the registration plate for most vehicles. Available in two versions (9105 and 9106) having different tube diameters fitting different car models. Please note that this is not a universal fit and you must check it's suitablilty for your vehicle using our bike rack fit guide. Rear Boot Mounted Bike Carriers are not a universal fit. Please check compatibility with your vehicle using our fitment guide - click here. 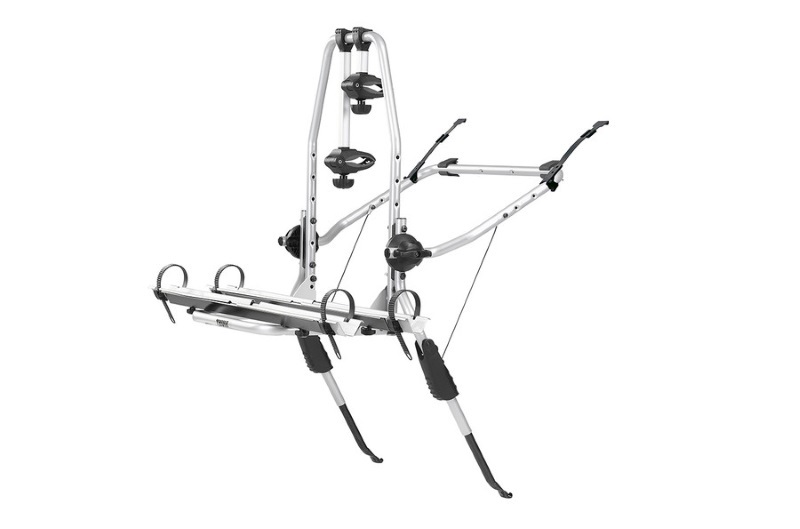 A flexible and quickly mounted bike carrier in which the position of the bikes does not block the rear lamps or the registration plate for most vehicles (check application guide). The very simple mounting is made possible with the help of the patented snap on fitting system. Holds up to two bikes. 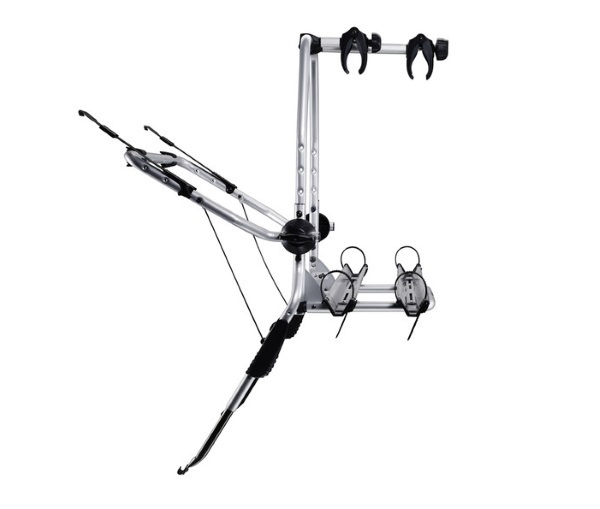 The frame holder allows maximum grip while protecting the bike frames. Fits frame dimensions 22-70mm. These compact, folding bike racks that are stable and safe without the use of straps. All parts in contact with the car are plastic coated. Available in two versions (9105 and 9106) having different tube diameters fitting different car models. 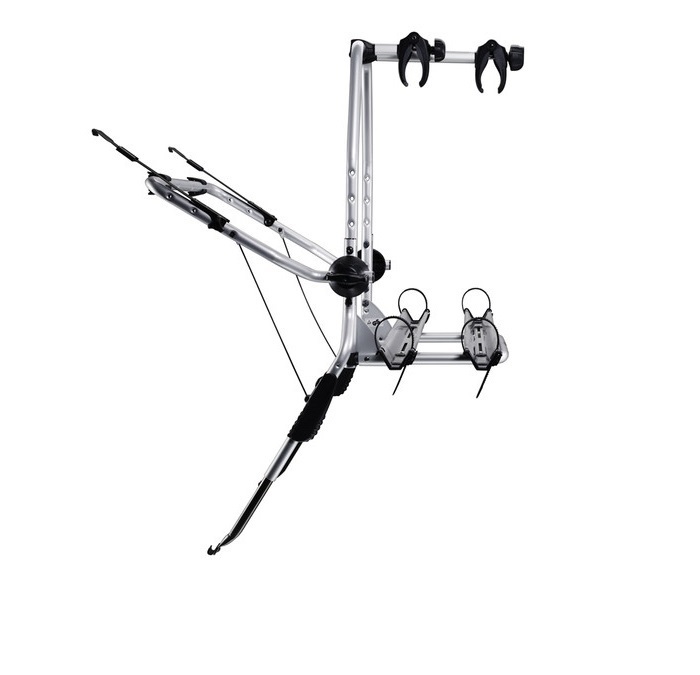 Note: Please note that the Thule ClipOn High 2 9105/9106 is not a universal fit. Please use our bike rack selector to check compatiblity with your vehicle. The ClipOn High carrier comes in two versions (9105 and 9106) having different tube diameters fitting different car models. We offer a delivery service for the Thule ClipOn High 2 9105/9106 throughout the UK & Ireland to home and work addresses. 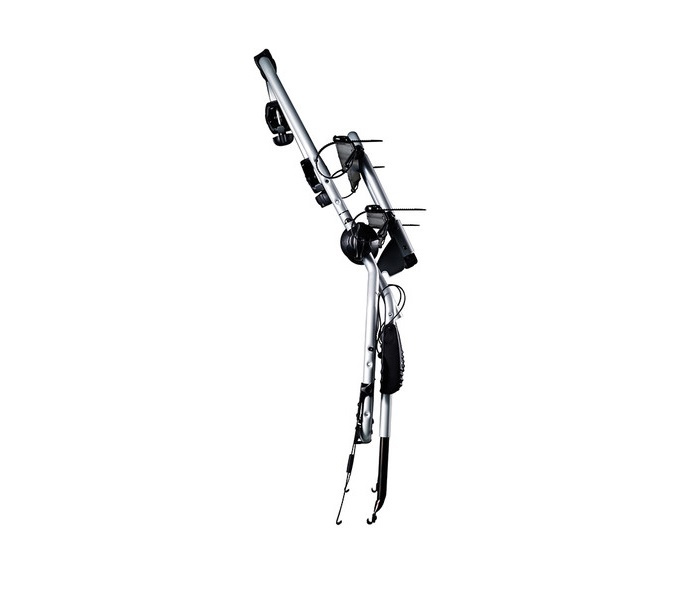 Buy a Thule ClipOn High 2 9105/9106 online from our website and collect from one of our nationwide branches. 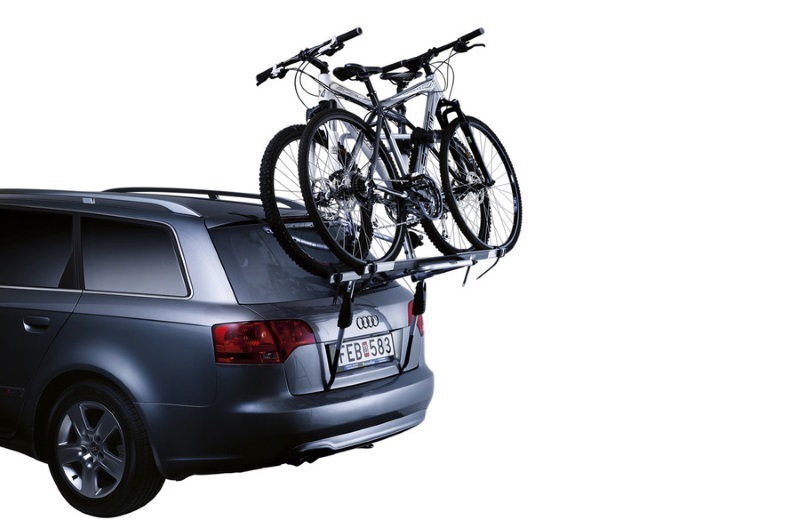 Why Buy From Car Roofracks UK? We only supply high quality products and constantly review our range to ensure it's the best available to our customers. We are a real business with 7 stores located around the UK (click here for full details). We only use reputable couriers to deliver our products. Our business is owned, managed and run by knowledgeable staff that use our products. Our staff offer expert unbiased advice to assist you in making a purchase. Expert advice - call us on 01752 896466.